We all know how important breakfast is. But sometimes the morning schedules just get too hectic and don’t leave you with much time to enjoy a meal, right? There are loads of gadgets we use on a day-to-day basis that make our lives so much simpler. So why not do the same in the kitchen too? Your mornings are about to get much more exciting once you start using these awesome appliances to cook up your breakfast. Mornings are incomplete without a steaming mug of coffee. 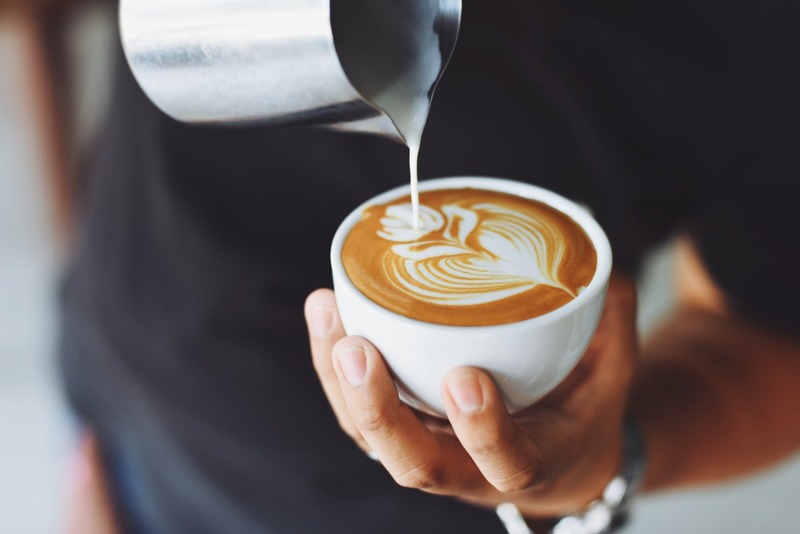 And if you’re a caffeine-lover like us then you’ll absolutely love having your own freshly ground coffee. Just fill up your grinder with coffee beans, press down on the button and your beans will instantly be ground into a fine powder. The longer you hold down on the button, the finer the beans will be ground. But wait, it doesn’t stop there. Since these grinders are multi-functional you can use them for just about anything else like spices, nuts, and even herbs. 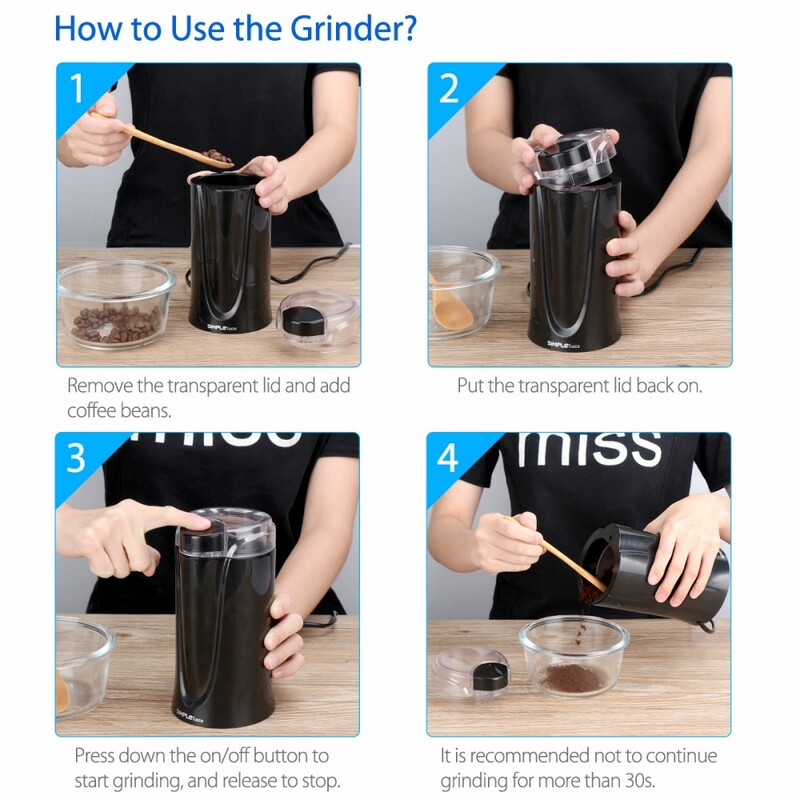 In a matter of seconds, you can grind up your ingredients and save time! If you prefer a freshly squeezed juice over coffee then having a juicer around is exactly what you need. Health freaks will agree there’s nothing like a refreshing glass of to pair with your breakfast. And this juicer makes is sooo simple to use. You can control how much or how little pulp you want thanks to its special filter. So slice your fruit, hold it down and get juicing. 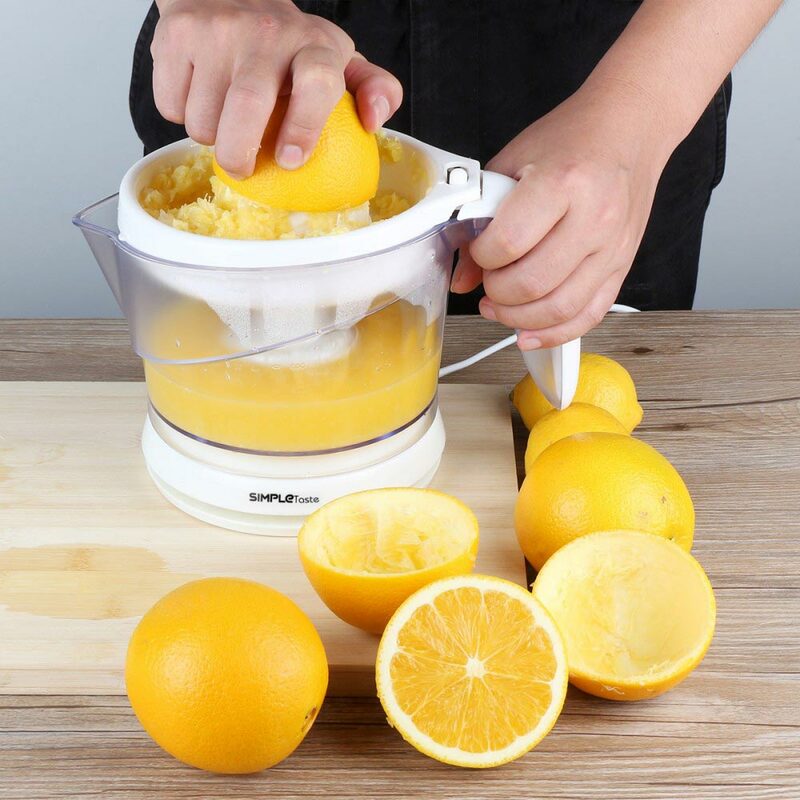 Apart from this, the juicer is lightweight and very easy to clean. 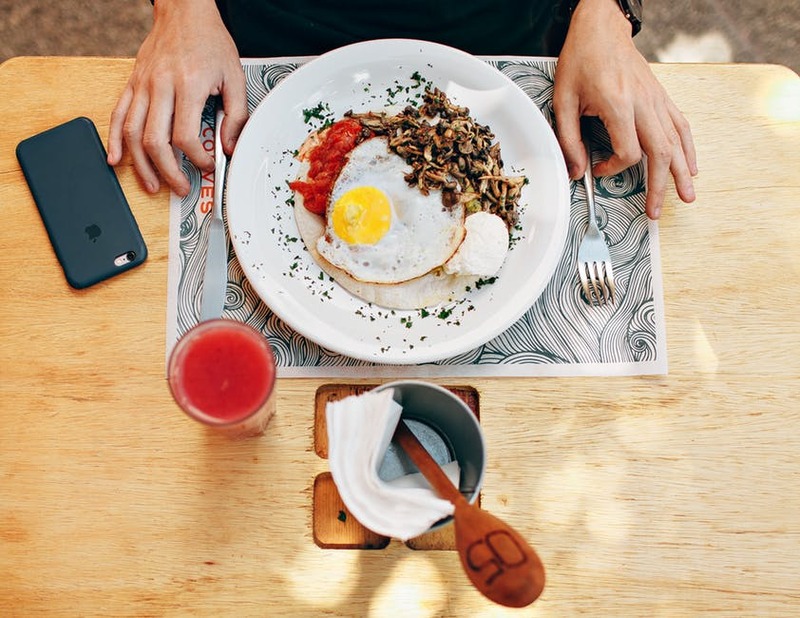 Breakfast is incomplete without a side of your favorite eggs, isn’t it? 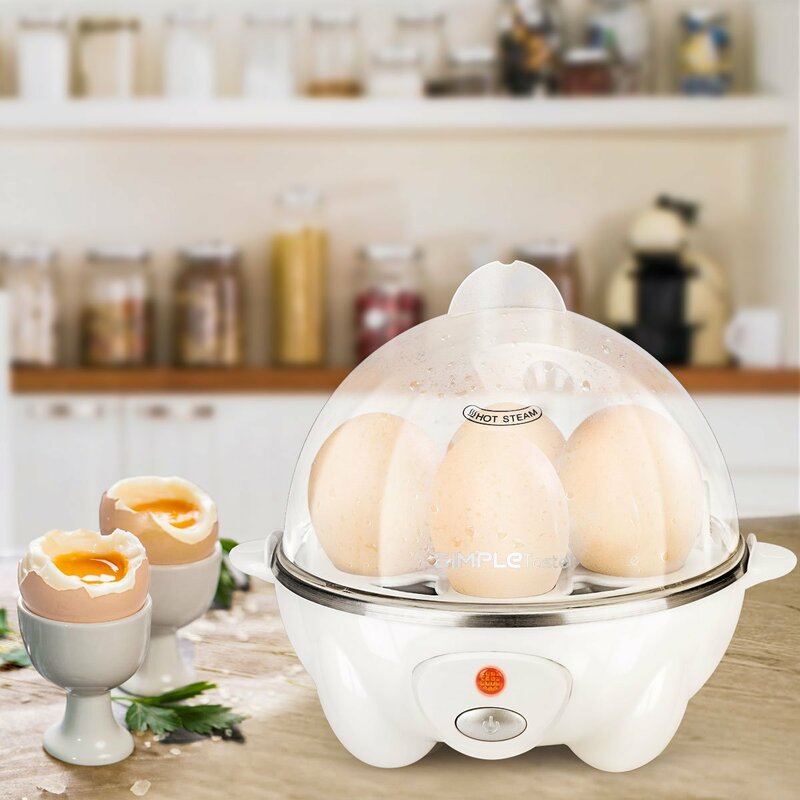 This egg cooker lets you enjoy poached eggs within only a matter of minutes. And apart from cooking eggs, you can also use it to steam vegetables and other foods too. So if you’re one who struggles to make perfectly poached eggs then you’ll be happy to know you don’t need any special chef skills. Cook up to 7 eggs in less than 10 minutes. Yes, it’s that fast. Another cool appliance to keep around the kitchen is this milk frother. How does it work? With a click of a button, you can turn your milk into foamy goodness. So the perfect cup of coffee is no more a dream but a reality that you can enjoy every day thanks to this amazing device. Want to know more about milk frothers and why they’re so awesome? Check out our review of 1byone’s SimpleTaste Milk Frother! 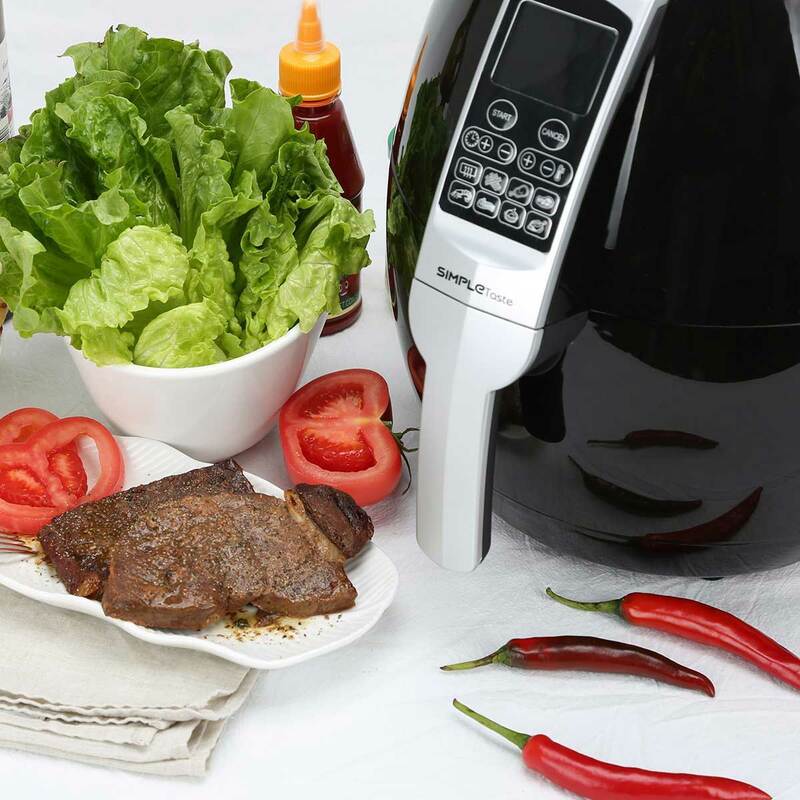 If you thought air fryers were only for French fries and chicken wings then prepare to be mind-blown. From BBQ chicken to frittatas and sliders you can use this appliance to make all kinds of breakfast sides. And since you’re using little to no oil, forget feeling guilty for indulging in your fried foods. But does that mean you’re compromising on quality? Nope! You’ll be pleased to know you still get the crunchy exterior that you crave so much from deep frying goodies. So go ahead and get your hands on these cool appliances and watch your morning routine’s change for the better. And remember kids, don’t skip breakfast!